We are back from our honeymoon! Lance and I had so much fun on our adventure of a trip, and are thankful to have returned safely. As you might have seen on Instagram, the ‘hurri-CAIN‘ as we called it made for quite the unusual vacation, and even landed us in the news. Again. Our wedding seems to love the headlines, right? All joking aside, we’re incredibly grateful to have stayed safe during the storm, and our thoughts are with everyone effected by the disaster. I like to over-organize before a trip. I Google every possible detail and plan out as much as I can in advance. Occasionally a hurricane comes and blows those plans right out the window, but every once in a while you’re able to stick to the itinerary on vacation. 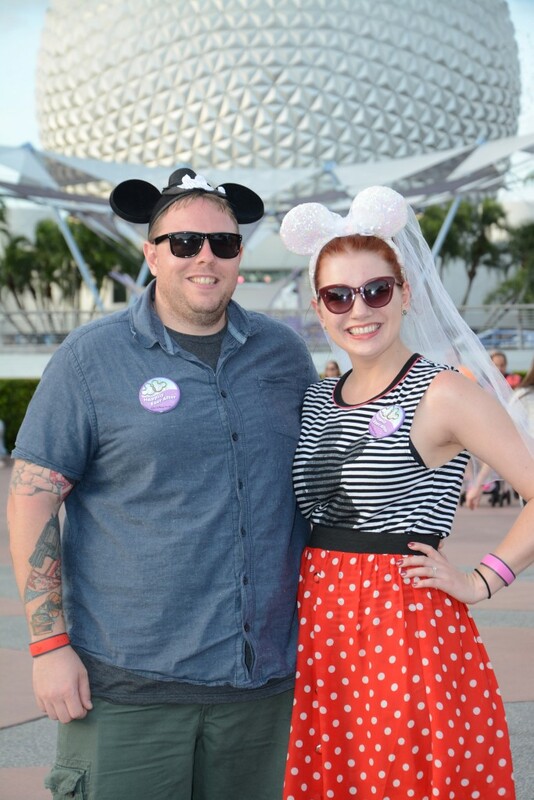 In case you’re also a planner and are thinking about heading to Walt Disney World for your honeymoon, I have compiled some of the questions I looked up before our trip with ones others have asked me for an easy, plan-ahead Walt Disney World Honeymoon FAQ. Is Disney’s Memory Maker worth the cost? Yes! Disney has photographers stationed through Walt Disney World, and with the Memory Maker package you can have access to all your photos and more. For about $150, I got nearly 300 high-resolution photos of Lance and me on our honeymoon. And we’re both in all of them! That’s about 50 cents per photo, which is a price I can really get behind. We spent three days at the parks, as well as one afternoon at Disney Springs, and we stopped at PhotoPass photographers as we saw them – we only went out of our way on a few occasions. If we had a larger group, or if we went out of our way to hit more PhotoPass photographers, we easily could have surpassed 500 images during our short stay. 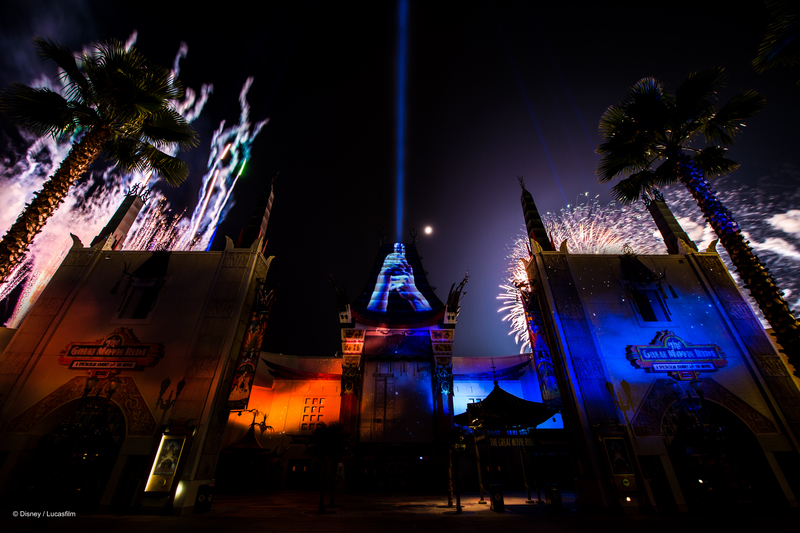 Plus, you even get access to special park photos (like those seen in this post. In fact, all of these images are from our Disney Memory Maker package!) Be sure to buy your Memory Maker in advance if you plan to use the service – there’s a nice discount for early birds. Does Walt Disney World do anything special for honeymooners? 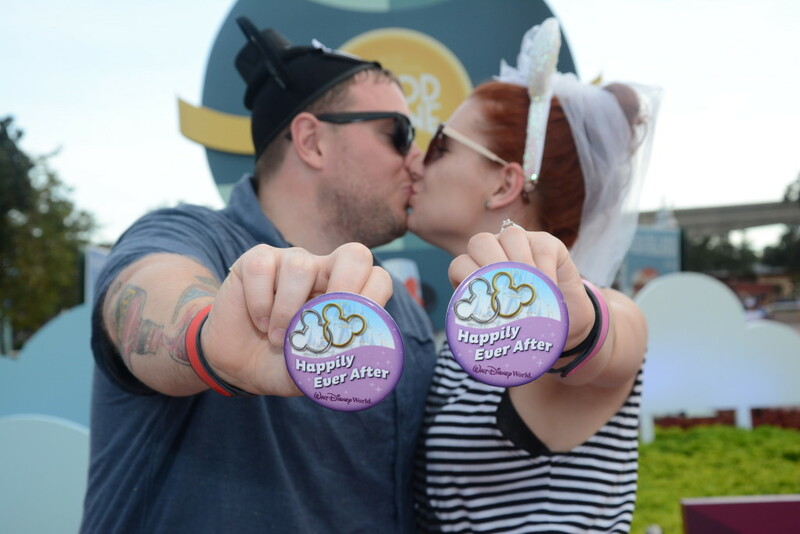 Honeymooners should go to guest services or designated shops to pick up ‘Happily Ever After’ buttons upon arrival. These adorable freebies are fun to wear while at the parks, and they let cast members know you’re celebrating something special. 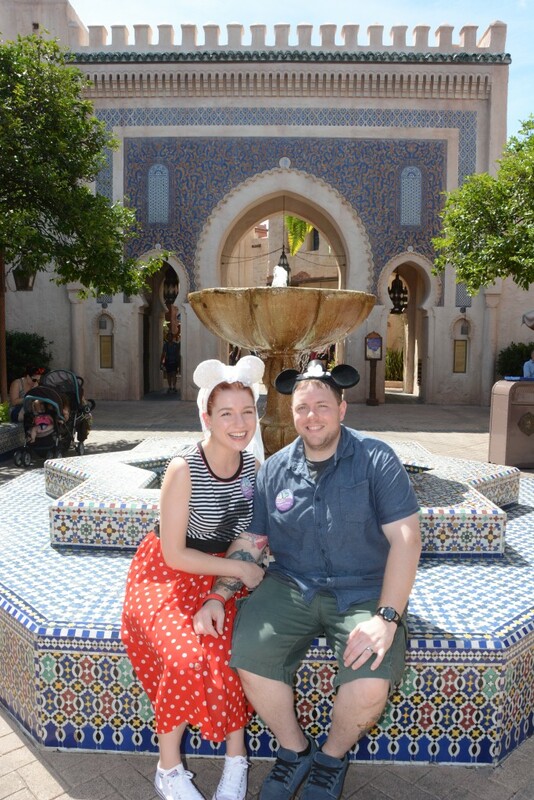 We also wore bride and groom mouse ears, because I can’t turn down a themed hat, so it was very clear why we were visiting. 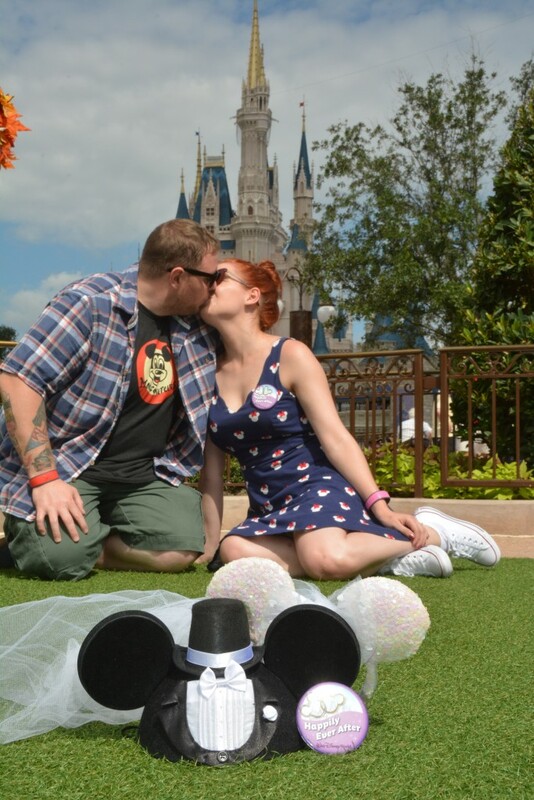 We talked to so many caring cast members, and we were given a handful of freebies for being newlyweds. 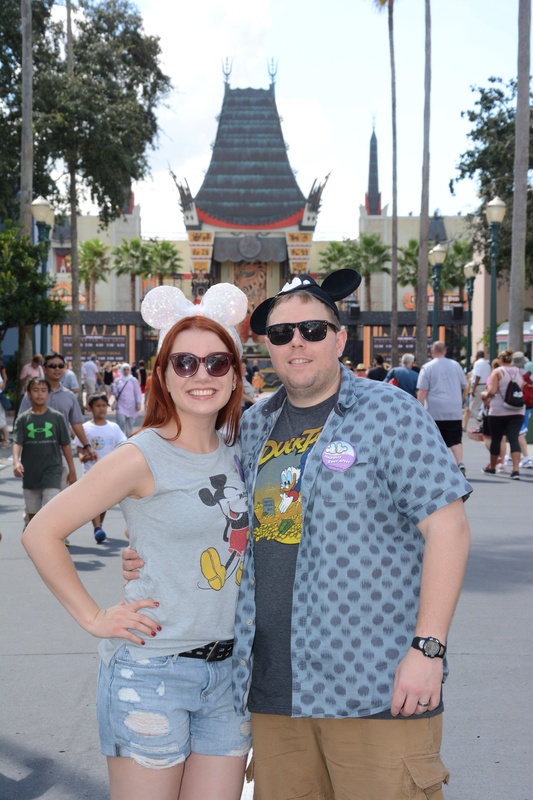 From petite extras like drivers’ licenses at the Sci-Fi Dine-In Theater (“for your scrapbook”) to larger gifts such as ice cream bars and drinks (“it’s on the mouse”), we were dumbfounded at how out of their way the Disney team went to make sure we had a fun honeymoon. You know what was equally impressive? How many random people stopped to congratulate us. Every twenty minutes or so, someone would shout “Congratulations!” from nearby. We even had several couples with decades of experience come and offer advice and well wishes. It was all incredibly heartwarming and appreciated. 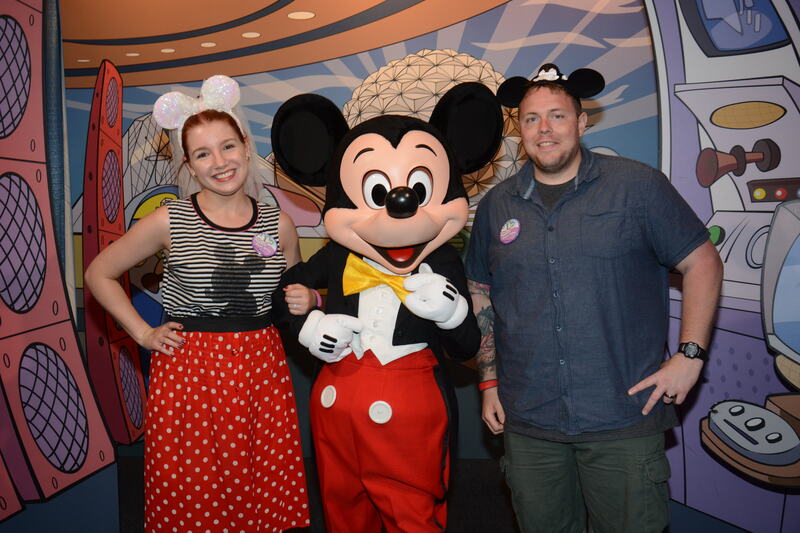 Is there enough for adults to do at Walt Disney World? Yes! Whether you like Disney characters, thrill rides, or a mix of the two, there are plenty of activities for adults at the parks. The most obvious ‘adult’ thing is drinking. Three of the four Walt Disney World parks serve alcohol throughout, and the fourth (Magic Kingdom) offers beer and wine at one restaurant. And these cocktails are just as magical as the rest of the park! Get something colorful – or, get something with a colorful, light-up ice cube. Find drinks with fun themes, silly names, and bonus freebies. On a similar note, much of the food at Disney was created for adults. While burgers and chicken fingers can be found, options like salmon salad, ratatouille with quinoa, and roast lamb were clearly crafted for a more mature palate. Personally, I have a pretty child-like sense of taste and I go for the hot dogs – but if you’re a foodie, the restaurants at Disney may be a good fit. Make your reservations early online. Or, plan your trip during the Epcot International Food and Wine Festival to sample even more tasty treats from across the globe. As for the attractions, tons are fun for people of any age. If you grew up with (or, cough cough, still watch, cough cough) Disney movies, it’s a blast to see Ariel or Peter Pan in action. If you like roller coasters or other intense rides, Disney has you covered with space simulations, total-darkness rides, big drops, and more. A Disney vacation is fun for adults if you’re the type of person who can let yourself be totally sucked into the world it has created. You can’t go in being ‘too cool’ or unwilling to wait in line – there’s a lot of corny parts to Disney, and even more waiting around. But if you’re ready to suspend reality for a second and appreciate all the little details, you’ll find it’s a place made just as much for adults as it is for children. 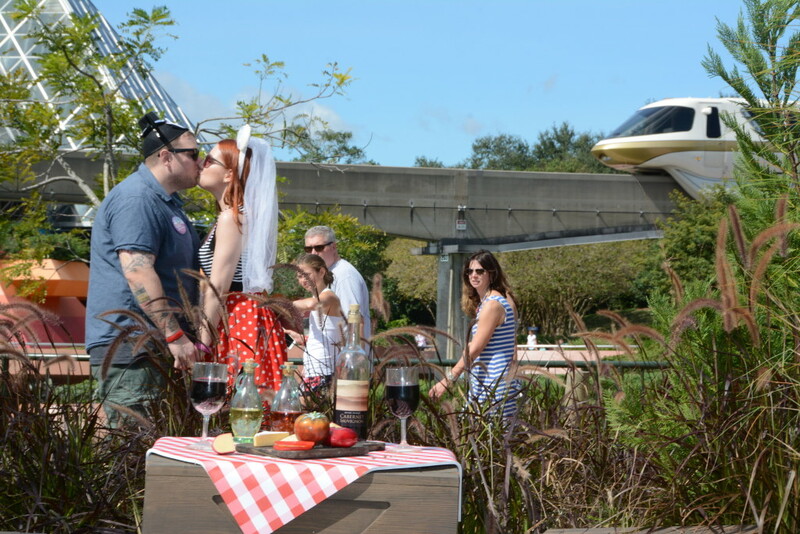 Do you need to stay on Disney property to have fun at Walt Disney World? No. While the on-site Disney resorts are beautiful, you do not need to stay at them to have fun. We were able to secure an amazing suite with tons of perks and a flight deal through Expedia that all turned out cheaper than just the cost of the basic, available on-site Disney rooms. One of the largest perks of staying on-site is free transportation to the parks. We decided to rent a car so we could determine when we went where, but our resort (and plenty of others) did offer a free shuttle to the Disney parks even though it was not on Disney property. Additionally, our car rental did come with free airport transportation – a perk that is included with staying on Disney property. Check all your options, taking into account the cost of getting to and from the airport; getting to and from the theme parks or other Orlando attractions; the cost of parking your car at the resort or at the theme parks; and room perks like free breakfast or WiFi. Prices vary drastically, so take an afternoon to check your options across a plethora of resorts and websites. Do Magic Bands make a difference at Walt Disney World? Yes and no. Magic Bands do not increase the amount of things you’re able to do, but they make everything so much easier. Get into the park, access your FastPasses, and link photos to your Memory Maker all without digging through your wallet. And since the parks are normally bustling with people, any way to avoid getting out your wallet and accidentally dropping something is good to me. Magic Bands are free if you stay on the property, but they can be bought for about $13 a piece if you’re staying off site. Since they can be reused for future trips, I think they are worth the money. What happens if it rains at Walt Disney World? Ah, Disney rain. 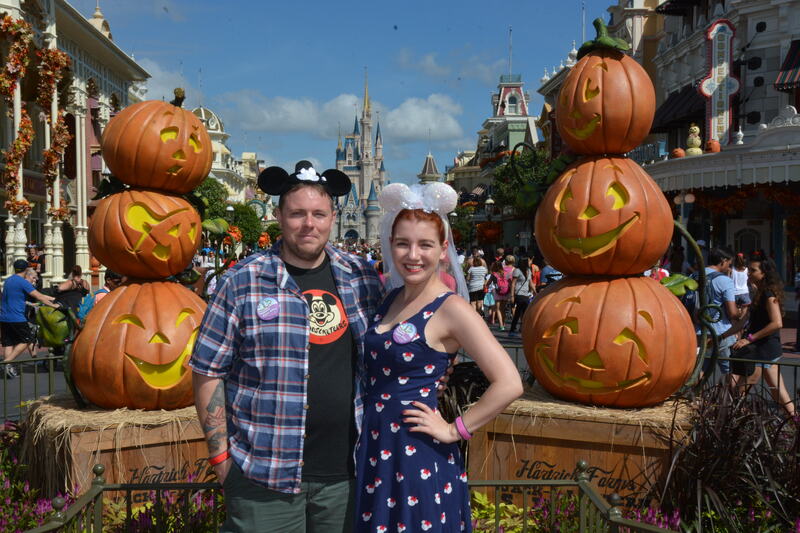 Despite taking tons of Disney trips throughout my life, I don’t believe I’d ever seen it rain at the park… until I accidentally took my honeymoon during Hurricane Matthew. During a normal amount of rain, almost everything continues as normal. Tons of the attractions are inside, so the rain isn’t an issue. You can buy heavy-duty Disney ponchos for about $10 per person at almost any of the Disney shops. When it started pouring, Lance sweetly let me hide under an umbrella while he went to buy some for us. We thought it was pretty fun wandering around in our ponchos, and the lines went down drastically as some people gave up and went home. But then it didn’t stop raining… and then the hurricane came to shore. I was at Walt Disney World during one of the very few times it has closed down, and since the hurricane was posing such a sincere threat it is entirely understandable that they decided to shut its doors. While we were happy to know this would increase the safety of its employees and other visitors, we were of course disappointed to have so many of our plans canceled. We were told we could exchange our unusable tickets for refunds or other tickets; I’m still working on getting those refunds now and will update this later if it doesn’t go as planned. For now, everything has been smooth and easy. Disney did a nice job informing guests of the closures, and even opened early the following day to give people more time to celebrate. 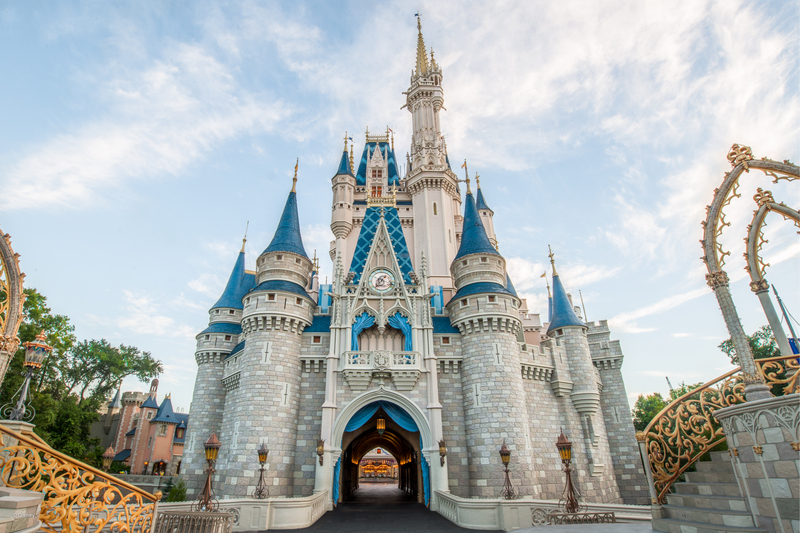 What should you bring to Walt Disney World? When visiting the parks, we always bring a large tote bag of essentials and rent a locker. Locker rentals are not expensive – assuming you return your key, they’re about $10 – and they give you a place to store things you’ll need throughout the day without having to hinder your experience by carrying them. I think it is important to bring the following for each person in your party: sunscreen, sunglasses, a jacket, bandages, pain medication, a poncho or raincoat, and a phone charger. Additionally, you can bring food and drink into Walt Disney World, which means if you are trying to save money you could pack your own shelf-stable lunches, store them in your locker, and spend sincerely less than if you’d bought hot lunches for your group. When we visit Disney World, we’re all in – meaning, we eat at the parks to enjoy the unique dining experiences, despite their rather high costs. For those expecting to drop some money while at the parks, a locker rental offers a place to store the souvenirs you purchase throughout the day. I might have gone a little souvenir crazy… Sounds like a post for a different day. 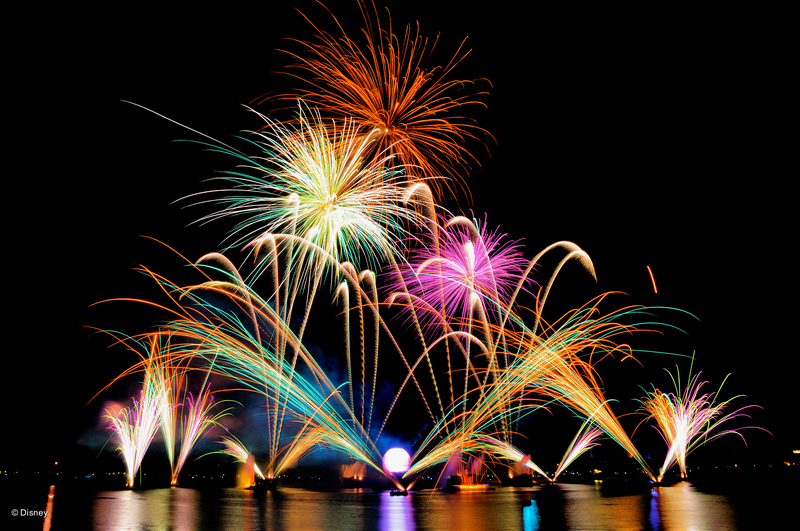 Have any Disney questions, or favorite places at the parks? Tell me in the comments!